A wire fence where the children played. I choose interzone as it was inspired by Burroughs book set in North Africa of the same title . 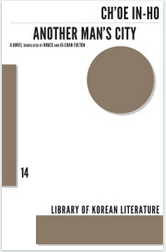 This is another book from the new translator Darf . This is the first in what is a three volume collection that brings together the eleven novels and short story collection that he wrote 70’s and 80’s to great acclaim from fellow writers in Italian such as Alberto Moravia and on the cover a great quote from Claudio Magris (an italian writer I really enjoy reading ) .Alessandro Spina was the non de plume of Basili Shafik Khouzam a writer of Syrian origin that was educated in Italy and settled running his fathers factories in Libya for 25 years til Gaddafi took over he factories when he retired to Italy .He died two years ago but saw the collected volume of this book win The Bagutta prize one of Italy’s biggest prizes . The young maronite tries to sell his cargo on arrival in the city . The first three section in this book follow Libya from just before the outbreak of World war one to the late 1920’s from The book opens young Syrian Maronite lie about some cargo arriving in Libya .This starting the story of immigrants in Libya from The arab world and also europe so what we see is the melting pot of North africa and Libya in particular .Then we see an Italian captain in the city Benghazi as the city slowly grows over this book but eventually into the second city of Libya . The book follows the end of 1911 war as we see people follow to the area in search of chances to make their way in the world this is the first two-parts in the book and the last follows the final ending of Libyan resistance after twenty years of fighting . Captain Martello evoked empires and diverse influences that had dominated the country, conquests that belonged to the ancient past – Egyptians , the Greeks, the Romans, the Vandals, the Byzantines – with the intnet of forcing that young man to stay silent,in order to impress him so that, having overcome his diffidence . The captain shows how many people over the years had been in Libya really . This is one of those books that is a portrait of a place the place in Benghazi , which the writer lived himself for most of his life running his fathers factory , the story really starts with the story of some one like his father a Maronite from Syria arrive to start a factory in the town, just as the 1911 war end and we see this then the Italians ruling the area and the fact that the locals finally lay down their arms . I was drawn into this book I can see why it was such a huge hit when published finally as a whole it is the start of a journey through this place through the eyes of the local Spina has been called either the Italian Joseph Conrad or the 20th century Balzac, but to me this is one of those epic works that is written by a true one-off writer like Musil , Proust and yes Balzac Zola and those great realist writers of French literature but this is also a book from a writer of Arabic origin so it has a little of Arabian nights to it and can go off a small journeys of the mind .So it is hard to pigeon hole him just to say he may be one of the hidden gems of this year for me . Mwen tap rainmin konnin, date and jou ‘map mouri … Yeah! Wyclef Jean misie Refugee, Muzion If you had 24 hours to live, and you knew you were going to die what would you do? [Wyclef:] Yo, if I had left it just 24 hours to live I would go see my mother to tell her she me well high, her son, she can be proud Let me addresses thief, murderer She not loose, for that, I ‘ will kiss A kiss on the forehead and then in the street I’m returned two hours and a half, I called Jerry Duplessis J’dit to come get me, m’deposer Among my Mam’selle in her dress is so niceShe said ‘Wyclef, will eat at TapTap.’ ‘I said j’pas can because tomorrow j’serai not! J’viens only thank you from the bottom of heart Because with everything I did you would spend the m’quitter you, go elsewhere You’re a beautiful woman, no need to cry when I’m gonna go, you can t’remarier Mwen tap rainmin konnin, date and jou ‘map mouri … [Chorus:] And if you had 24 hours to live Would you sing? Would you dance? Would you cry? Or said: oh no I wanna leave me or said oh no I wanna go away! Imposs! This is a translation of 24 heures a Vivre ,24 hours to live from a ep wyclef Jean did for Haiti he ran for president himself in 2010 .I connect the line I would see my mother as this is what the daughter in this book can’t do. I was contacted by Paul the translator of this book as he had seen on the blog, I had reviewed two other books from Haiti and would I like to review this one. Evelyne Trouillot is a member of a literary family, her uncle was a historian and her brother Lyonel is a well-known novelist and her other brother is a leading Creole scholar. This book won the Prix Carbet a prize award to new voices and books from the Caribbean. I head home with the smell of the old woman’s wthered flesh on my fingers. The vision of her form sprawled limply on the bed like a nameless doll accompanies me through the streets of Paris, Why had they added that room to my list ? She is given the woman to look after thinking she wouldn’t remember her own past having left as a child!! Memory at bay is both the story of two woman one an elderly widow, the former wife of the dictator who ran Haiti for the middle part of the 20th century Papa Doc a name that rings of blood and death. She is lying in a hospital bed dying as she does reliving her life. She is being watched over by a young nurse who escaped from Haiti to France and became a nurse, but along the way she lost her own mother to the regime of the woman she is looking after. As the book unfolds, we see both woman’s story told as we see both sides of this brutal regime. As the brutal years of the Papa doc reign are seen from the wife of the leader and the everybody in the form of a mother and daughter who have to live under the regime.The daughter escapes and becomes the nurse but before she loses her mother she meets the old woman and a young woman and wife of the leader. She met her as a schoolgirl and even now knows the faces of the old lady even thou she is losing her mind. This is a book about what is memory, What is history as we see two sides of the same time told. Can we forgive those who do us harm ? What happens when we have to care for those who may have been connected to those that do use harm this young woman has all this on her mind as she cares for the older dying woman at times she wants to kill her. This is a powerful look at Haiti’s past, I remember the downfall of his sons regime baby doc when I was younger and the telling at that time of the brutal nature of his fathers regime. Evelyne has strung together two main characters and narraf=tives that bring both the overview of what happened but also the inner workings of day to day life. I very rarely ask , request books from publishers these days. I do get sent a lot of books without asking which keeps this blog going and for which I am grateful. But once in a while there is an important book or set of books that come out I feel I would love to read, so I send a request sometimes these fall on deaf ears and other times I get a reply and if I am very lucky the books .Earlier this year I saw on Arablit that paperback version of the Library of Arabic Literature series were coming out . 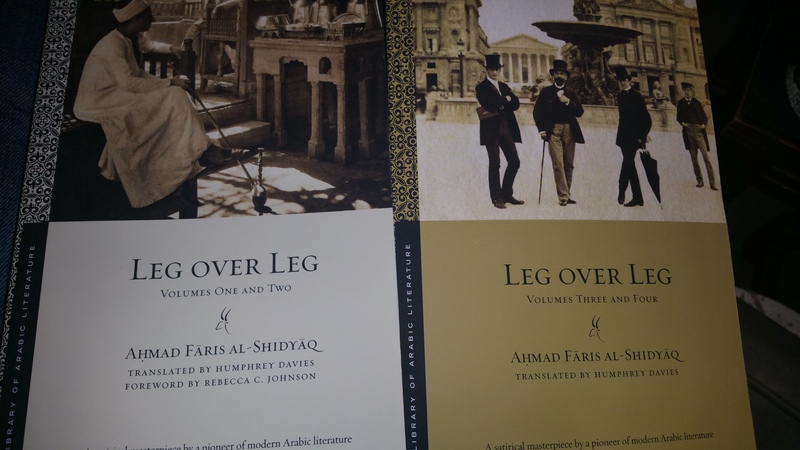 The first two books are the four volumes of Leg over Leg by Ahmad Faris al-Shidyaq THe book recounts the writers life using an Alter ego .The book is considered one of the first books of Modern Arabic literature .The book was a satrical look at the world he lived in and is one of those books that breaks the mould . 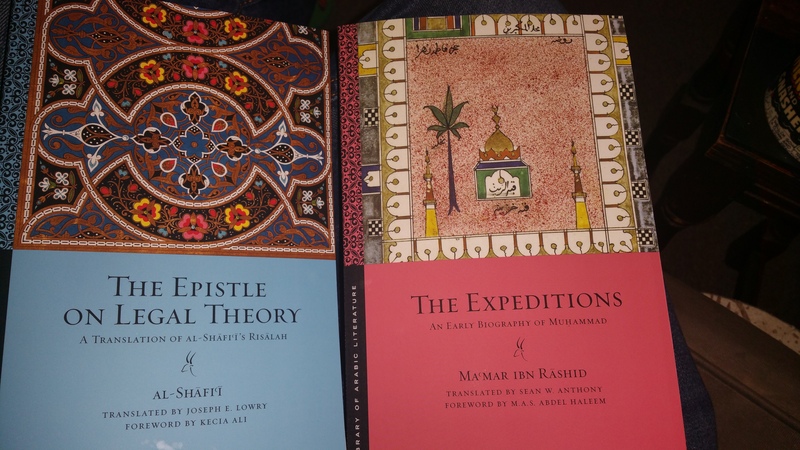 The second set of two books deal with early days of Islam, The epistle on Legal Theory by Muhammad ibn Idris al-Shafii deals with early foundations of Islamic law. I feel we hear a lot about islamic law these days , But maybe if we know more about it’s origins we would understand it in the sense of present day. The second book is The expeditions by Mamar Ibn Rashid is one of the first books about the prophet Muhammad and the early years of Islam. 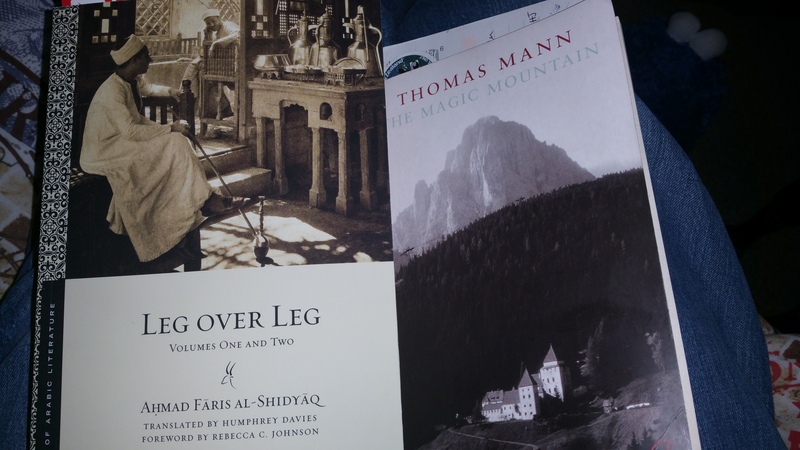 Both these serve as important texts in the Arabic cannon available in English for the first time .For more books from the series look and the Library of Arabic website. Then wash up my hands in the gutter and the moon. I choose a very old Nick Cave song The moon is in the Gutter because maybe Lakhdar is in the gutter but there is the moon there to see . 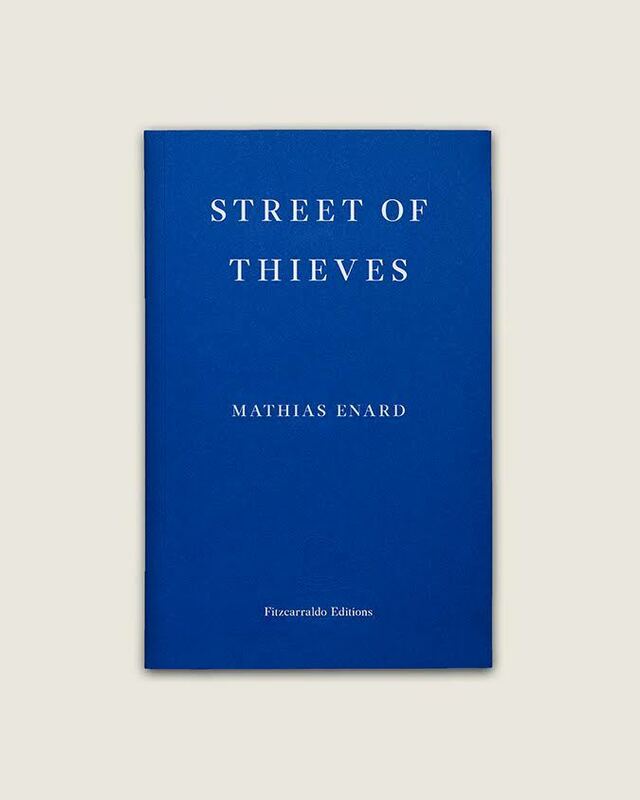 Another from Fitzcarraldo edition today their second book from the s=rising star of French Literature Mathias enard.A s you may recall earlier this year our shadow IFFP jury called in his first book in english Zone to the shadow longlist we felt so strongly it was one of the best books from last year, so no high hopes for this one hey !Mathias Enard studied Arabic and Persian at university, he then went on to spend fifteen years living in Barcelona and most recently he spent a year in Germany living in Berlin. The rest of our catalogue was more expensive, 9.90 per book. These are bound books, usually in several volumes, heavy as a dead donkey. The collection was entitles The heritage of Islam and was made of reprints of works by classical authors: Lives of the prophet, commentaries on the Koran, works of fhoetoric , theology, grammar. Since these mammoth works had beautiful imitation-leather bindings in coloured calligraphy, they were used mostly to decorate the neighbourhood’s living and dining rooms. The shop he worked run by Sheik Nreddin selling books and doing their websites . Street of thieves is the story of one young boys life as he journeys from Tangiers to Barcelona. Lakhdar the boy in question is on the verge of becoming a man and we see the world through his eyes. He is in Tangiers just as the Arab spring starts, we see how the system has kept the youth down, and why him and all his friends look to the other side of the Mediterranean. Lakhdar tries to find his place escape a violent home life to sell books then work on a ferry and then eventually he arrives in Europe and to the city of Barcelona and the Street of thieves a notorious area of the city for pickpockets this is a journey of a boys awakening to a man but also a trip from Africa to Europe and the contrast between the real and the dreams of the journey. I opened the little safe with help of a key shaped like a cross, it contained a number of papers that had nothing to do with me, and almost five thousands euros in cash. I was becoming a thief. I had enough to live on for a while in Barcelona or elsewhere. The money of the dead that’s kind of idiotic thing I said to myself. Of course there was the police. I had left my fingerprints everywhere , even on the bottles of poison, I was the king of dunces. Lakhdar is driven to steal for his new world in Europe . I actually loved this more than the zone this book is one of those that captured the Zeitgeist the way it was to be in the North African Arab world as the Arab spring broke. But he also captures a young boys journey from Boyhood to manhood a sense of broken dreams , false hopes but also find friends and people in the same places and world as yourself. Of course because Lakhdar has read many books in his time we see the way the books have crafted his view of the world. I find it strange this has been heralded as one of the first novels of what happened with the Arab spring Enard is no doubt a rising star (recent events have shown he has ambition ) of French literature.I feel there are two great ways a writer becomes a great writer that is write similar books but make them seem different or write great books with different voices I put Enard in the Later this is different from Zone the same place the greater Mediterranean so to speak but more ground in now than the Zone . Have you read Enard ? I choose Bizarre Love Triangle by New Order , a fitting song for this book I felt . I try to give the blog scope by slowly working through great books and writers from around the world. So I read earlier this year coup de grace by Maguerite Yourcenar for Women in translation month. Who was the first female to join the French academy.Although she left france and lived in Maine in the US since the outbreak of the second world war, she lived there with her partner Grace Frick who was also the translator of her book. she also worked as a translator herself and translated Virginia Woolf’s The waves into French . I really got Erick from this opening lines he was maybe an early prototype in looks of a Nazi !! Coupe de grace is a book written on the eve of the second world war about the russian civil war in a castle in what is now Latvia . The Story focus on a woman and the group of men that are in love with her Sophie is the woman and the men Erick a Prussian fighting for the white russians he has also fought in the first world war , he has been station in the castle that Sophie lives in with her brother Conrad .As she is the only woman about she captures men’s heart. She likes Erick but the harden soldier is maybe to war damage to reply to her love or does his love lie elsewhere . She escapes to join the reds and tragedy follows . The terrible solitude of ones who loves was increased for Sophie by the fact she did not share the views of the rest of us: she had some sympathy for the Reds. For a nature like hers the supreme elegance evidently was to think that the enemy was right; accustomed to reasoning against herself she was probably as genrous in justifying our opponents as she was in absolving me . She saw the reds point of view but stayed with the whites. I feel there is more to this than first appears when you read it. Erich seems cold but he talks with Conrad maybe he is actually Homosexual, but given the time his love is unshown but an undercurrent to what is a triangle in a way she loves him and shows it he shows her no love but talks with the brother but not about love . Also given the time maybe the seeds of what was going to be the second world war were in the air so a tragic love story set among st a war maybe was poignant at the time. The story is slowly unwound for the read each character is believable , it is thought some of the story was based on an actual real event. I have Hadrian by her which I will read for next years woman in translation month I think . 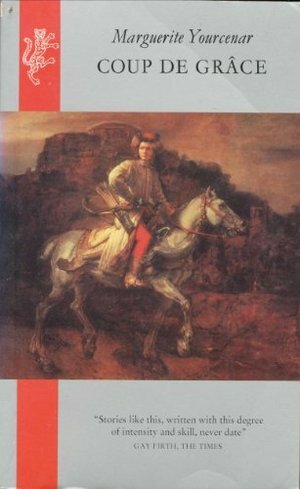 Have you read Yourcenar ? Today saw Will self’s intro to the forthcoming book Nicotine by Gregor Hens a book about stopping smoking. So I taken a twist of style here and decide to do a piece about my years of smoking .On january 4th this year I smoked my last cigarette after 24 years of smoking , I don’t remember the time or even if it was a normal cigarette or a roll up. I made my mind up and stopped as I had many times before but then in a Newtons Cradle like effect two days later I dislocated my elbow and thus spent the next six weeks at home, which was enough to finally break the cycle of me as a smoker I had smoked more at work than at home the last few years so being at home I just held on til the day I felt I was clear of smoking. But lets turn the clock back twenty years when did all start well the was a first cigarette on a geography field trip at 15, but even then I didn’t start fully smoking til I was eighteen. 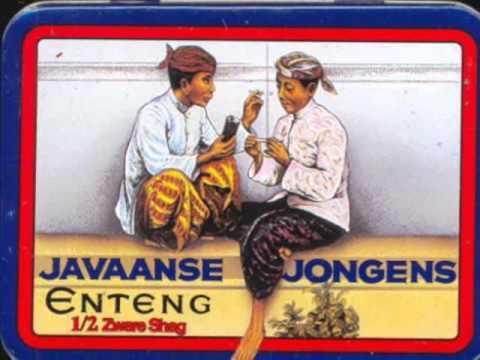 As will said in his essay cigarettes are a love affair. For me its connections brands people, places and times of life. Woodbines my first job working with old people one of which smoked woodbine the filterless strong cigarettes have a unique taste not that of filterless french cigarette no a smell that at once made you think of world war two films and the smoking in them and the smell of cigarettes like woodbines as people smoked in those films.Player number six my stepfather a man I don’t get on with hence a brand i never brought, More my late stepmother’s brand when she smoke I see them and think of her a classy cigarette for a wonderful woman and then JPS blue and old black remind me of My Amanda and my best friend both of which smoke them . Tobacco I remember the first time I really got tobacco rolling cigarettes it was the first time I met my ex on an exchange between Northumberland County Council and Nordrhein Westfalen and being stuck on a moor fixing a stone wall and smoking roll up with two german girls, I later lived in Germany with one of those girls where I used cycle with here the 5 km to Holland to buy even cheaper tobacco there the brands in a Dutch tobacconist shop there are mind blowing number of brands, I was like a kid in a sweet shop tried many types but always loved the brand Javaanse Jongens Enteng a more expensive tobacco.How to light a cigarette well for me it was always a zippo I had many zippo lighters over the years, I had a habit of losing them but there was that strange petrol taster of lighting cigarette with a zippo, myths no third light from a match (I believe this comes from world war one and the trenches but not sure if that is an urban myth) . As the year passed prices grew so I stopped smoking gauloise Malboro or Camels to cheaper brands, They stop me smoking in pubs but I carried on , stood in the cold and rain on nights out for the last few years of smoking was a change from the early days like an affair that has drifted on two long I end up smoking roll ups and finally this year felt brave enough to say good-bye to what had maybe been something I hide behind I smoked, I talked with my cigarettes being part of me. I did at one point never view the time when I would have the affair with them but now looking back it is like the bad taste of a mistaken love affair in the mouth bitter and one wonders why you did it in the first place .I will be reviewing Gregor’s book next month he will also be suggesting five short books from German .